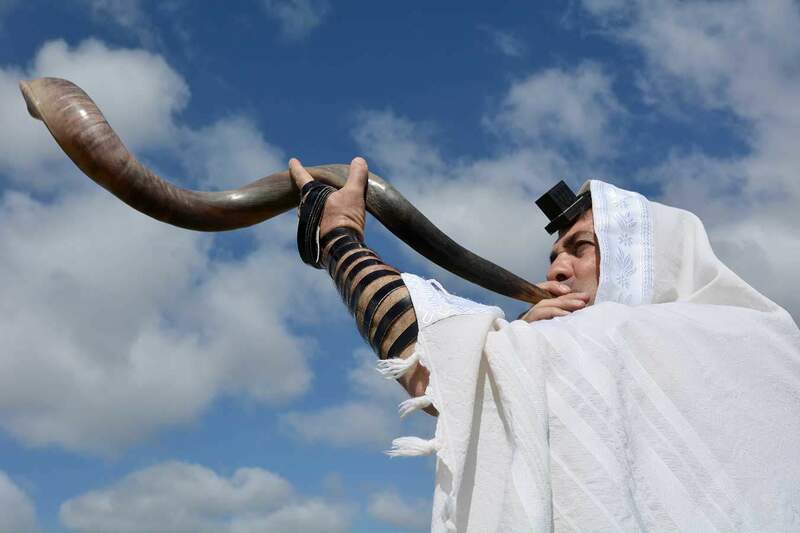 What does hearing the shofar really mean? During the month of Elul, the Hebrew month leading up to the high holidays and the one in which we find ourselves today, we are commanded to blast the shofar daily. This blast is supposed to startle us. It’s supposed to shake our insides, put our stomach in knots, wake us up from our comatose spiritual slumber. It is a warning—a call to repent and do a 180. In Israel, for the entire month of Elul, the shofar can be heard at various times of the day—every day. If you forgot that this is the time to prepare yourself to stand before HaShem on Rosh HaShanah, the Day of Judgment, then you are reminded by the shrill, long shofar blasts that pierce the Jerusalem sky, disrupting the daily hustle and bustle. If you had forgotten to repent, you are now reminded. We are preparing to repent by repenting. Rosh HaShanah marks the new year on the Hebrew calendar, giving us a day to set our spiritual clocks and reflect on the past year while preparing for the coming year. Rosh HaShanah starts the ten days of awe that lead up to Yom Kippur, where we repent as a nation and our national sins are expiated. So we prepare for this repentance by repenting. This is the time for us to reflect on a personal level. This is the time to ask HaShem to pardon, but also to help us fix and overcome the shortcomings with which we struggle. The slate is clean; we get a new chance, a new year, and another opportunity to be more devoted disciples. We get a chance to renew our love, renew our vows, with HaShem. Let the shofar penetrate your soul; allow your heart to return fully to HaShem, giving him everything, your whole life and devotion. Don’t be unprepared when Rosh HaShanah arrives, but be ready to stand blameless before your King. May we all be written in the Book of Life for blessing, prosperity, and salvation.